Throughout her career, Rebecca Dengler has been recognized by numerous golfing organizations, publications and her colleagues for her positive, innovative teaching style. Most recently, Rebecca was named to Golf Digest's inaugural ranking of the 50 Best Women Teachers in America. The article can be found here. She was also named by the LPGA as one of thecountry's 50 Top Teachers for 2008-09. More than 1200 teaching professionals around the country voted to compile this list. 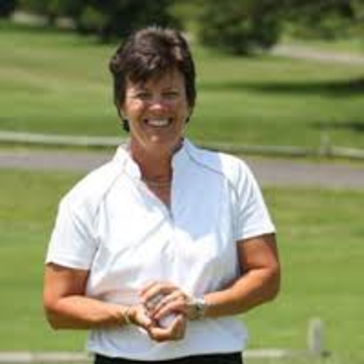 In 2007-2008 Becky was named the #1 Teacher in the State of Delaware by Golf Digest Magazine. She has also been named a top teacher by Golf for Women and Golf Magazine. Becky's philosophy of golf teaching has been greatly influenced by some of the elite teachers in the game. Becky travelled to Sweden to spend time with golf instructors who influenced Annika Sorenstam and other Swedish players. She has studied the methods of great teachers like Fred Shoemaker, author of Extraordinary Golf. Most recently, Becky has been working with Ed Feeney, an author and behavioral change expert, to further improve her skills and effectiveness as an instructor. Click here to visit Rebecca's website and view her lesson rates.